This post covers the steps to uninstall SMS provider role from your setup. 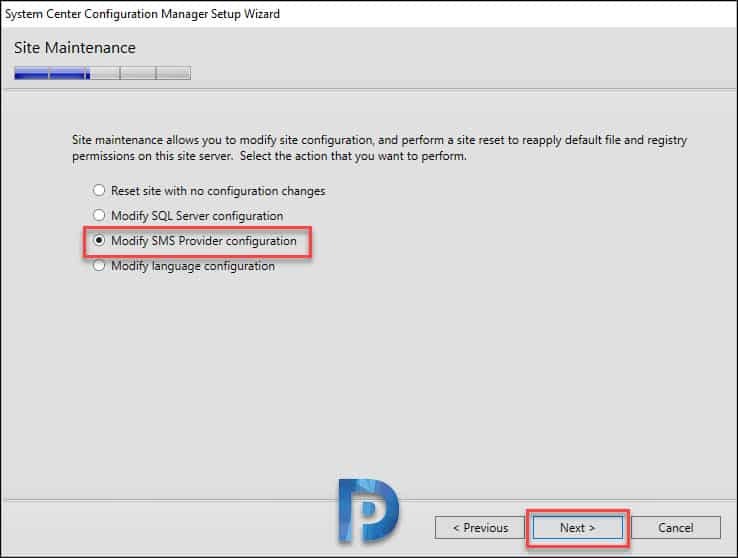 In my previous post I covered the steps to install SMS Provider role in SCCM. 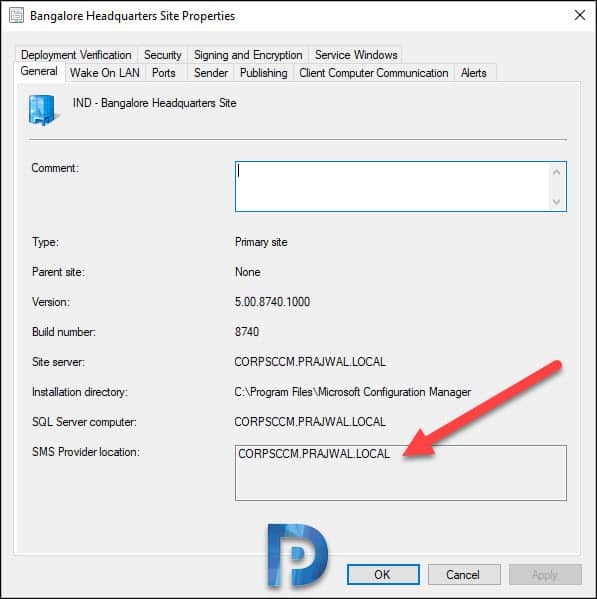 I also posted on how to find SCCM SMS provider location using different methods. Using the methods mentioned in that post, you can locate SMS providers in your setup. We will now see how to remove SMS provider role from Configuration Manager. The Configuration Manager SMS Provider is a WMI provider that assigns read and write access to the SCCM database at a site. 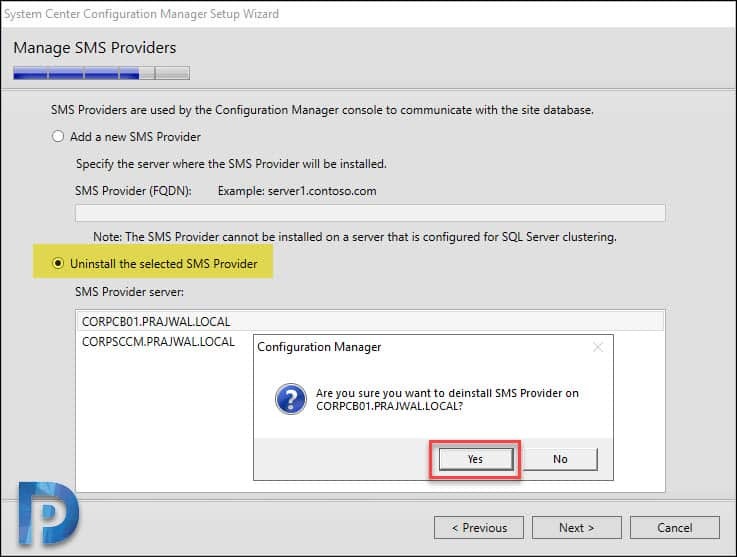 You can install multiple SMS Providers in your ConfigMgr hierarchy. 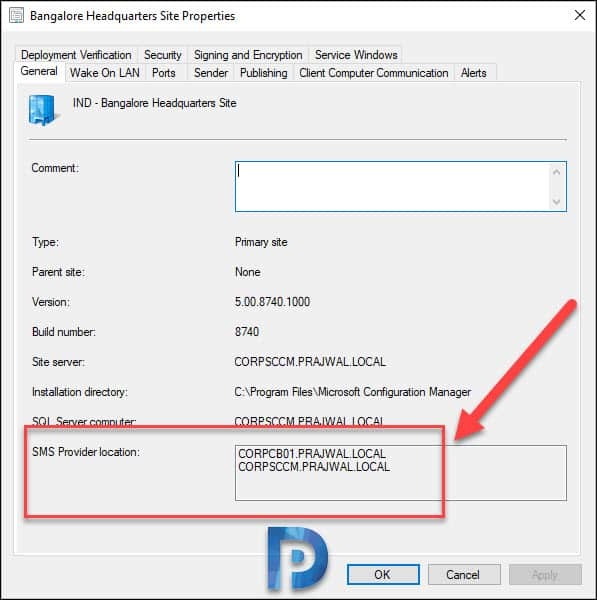 Furthermore when you install SCCM for the first time, by default SMS provider is installed on site server. For complete guide on planning for SMS provider, read this article. To quickly find out the SMS providers installed in your setup, the easiest way is to use SCCM console. Go to Administration\Overview\Site Configuration\Sites. Select your site, right click and click Properties. Under General tab, look for SMS provider location. That should show SMS providers present in your setup. To remove additional SMS provider from your setup, you have to use the setup wizard. You cannot do it via configuration manager console. To uninstall SMS provider role, follow the below steps. Close the Configuration Manager console. On the site server, go to Programs and Features. 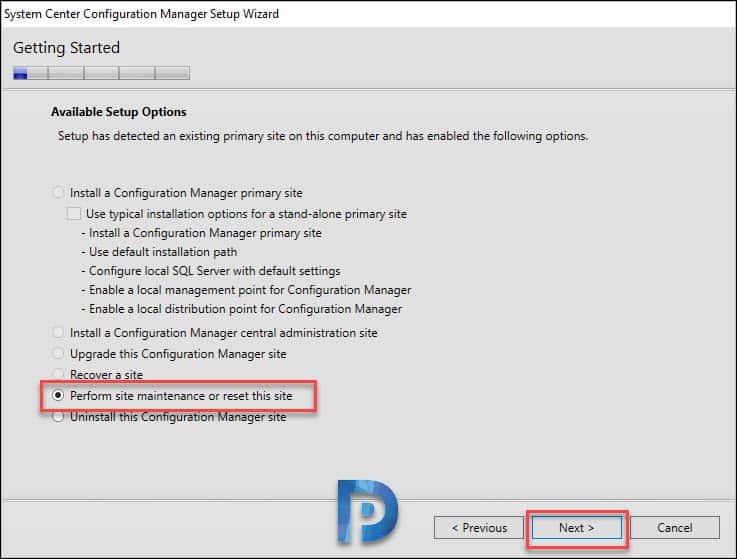 Now Right click System Center Configuration Manager Primary Site Setup. Click Uninstall/Change. 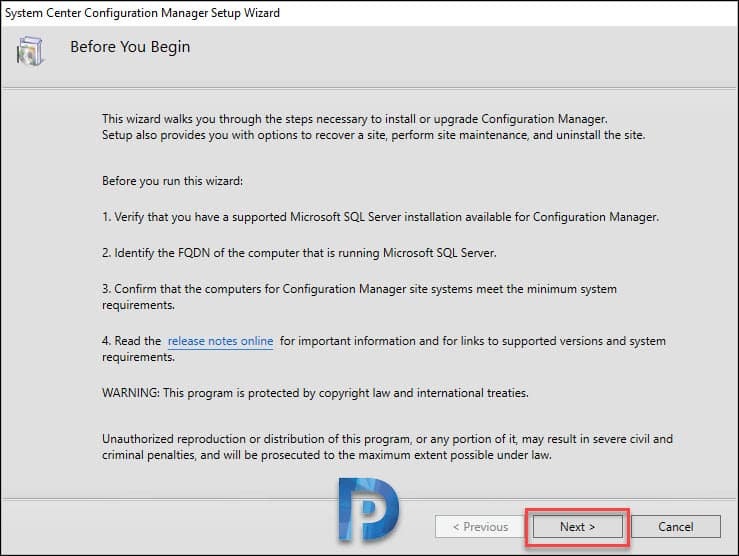 This brings up System Center Configuration Manager Setup Wizard. Click Next on the Before you begin page. Select Perform site maintenance or reset this site. Click Next. Select Modify SMS Provider configuration. Click Next. Under Manage SMS providers, select the option Uninstall the selected SMS Provider. From the list of SMS Providers, select the server and click Next. To confirm click OK when asked to deinstall SMS provider. Click Next. To verify SMS provider uninstall, go to Site Configuration > Sites. Select your site, right click and click Properties. Under General tab, look for SMS provider location. You now have only one SMS provider in your setup. Most of all, in case you see any errors, click View Log button. This opens the ConfigMgrSetup.log, analyze this log file to see what halted the uninstallation.